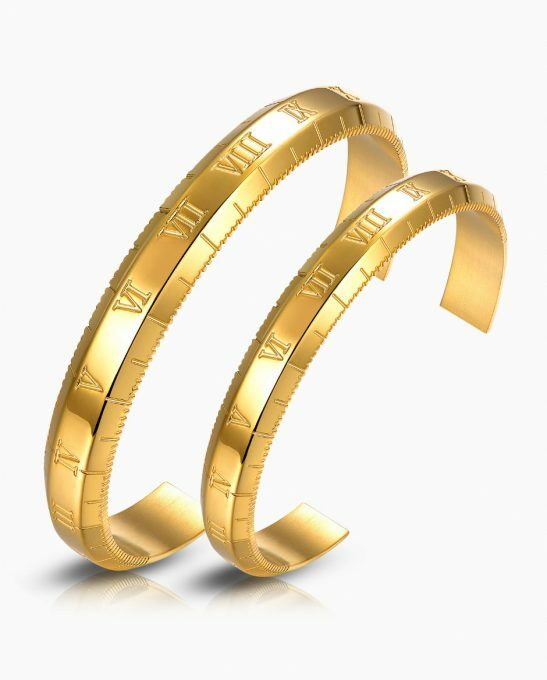 Set yourself apart with this unique, exclusive 18kt. Gold Plated Twist Bracelet. 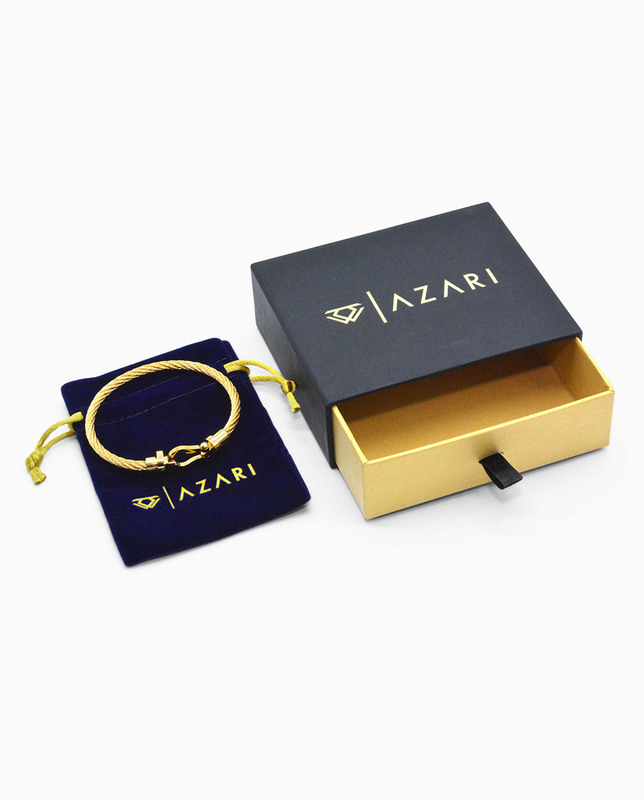 Crafted to perfection from stainless steel base with a lustrous 18kt. Gold finish the Azari twist bracelet is a fashion forward iconic piece. 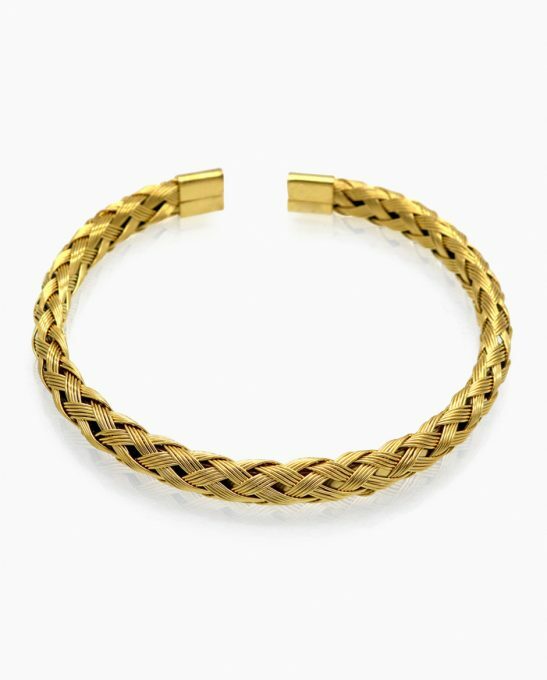 Featuring flexible, gold plated twist material and a magnetic clasp, it is designed to be easily worn and will stretch to bring the utmost comfort and sits seamlessly in your arm. It is the finest blend of simplicity and elegance. 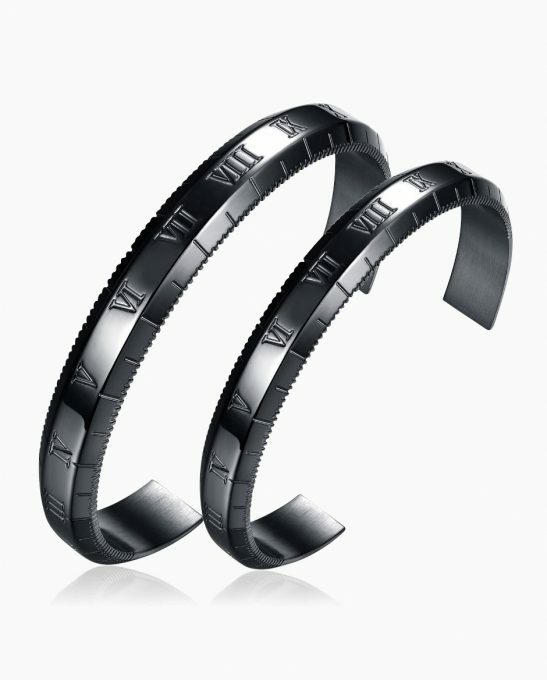 The eccentric magnetic clasp allows for easy and secure connection and its expressive design complements the twist bracelet giving it its exclusive look. 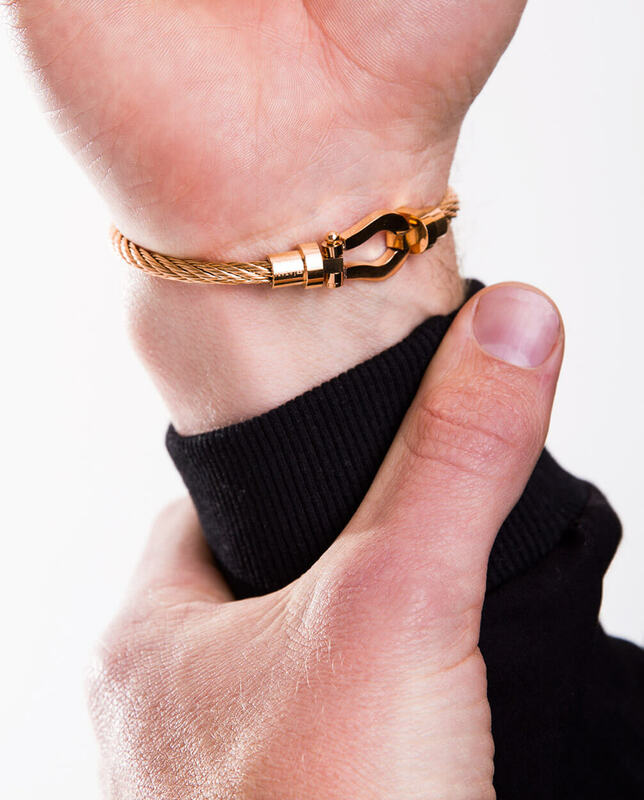 This magnetic clasp 18kt. 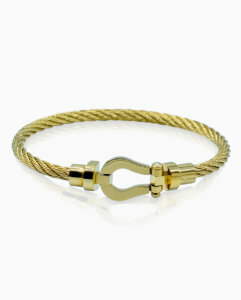 gold twist bracelet for men is so versatile that it brings out any outfit you can throw on it. It is an absolute essential for your wardrobe as you can switch it from formal to casual outfits.